Prospectus and application forms can be obtained from TCS Branches by paying prospectus fee of Rs: 1000/- and TCS charges of Rs: 100/-. Students can also submit their application form at TCS office by paying transportation charges of Rs: 200/-. To fill online application form for Dow University of Health Sciences (DUHS) Karachi Click Here. Students are required to prepare from Board of Intermediate and Secondary Education Karachi because MCAT test covers all syllabus of Karachi Board. Students have to cover full course and then they need to practice maximum MCQ’s to get good marks in Sindh MCAT test. I have kpk domecile can i apply to MCAT test for sindh medical colleges. We appreciate your interest in using pakprep.com. To apply for Sidhn MCAT sindh domicile is required. i have punjab domicile..can i apply for sindh mcat??? We appreciate your interest in using pakprep.com. To appear in Sindh MCAT your need sindh domicile. You can not apply on the basis of Punjab domicile. We appreciate your interest in using pakprep.com. You need to call them and you may forgot your password please retry you password other wise call them. Please follow the bellow mentioned links for your preparation. what should we write in the post name??? We appreciate your interest in using pakperp.com. Please specify your question in detail so that we can help you in better way. Please follow the bellow mentioned links for your preparation of Sindh MCAt test. What is the date of new entry test for MCAT students of sindh province? 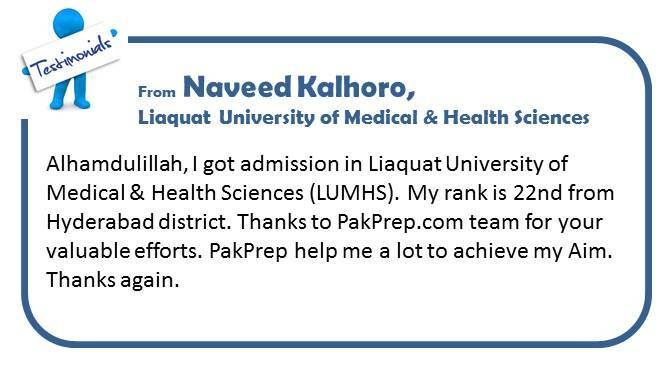 We appreciate your interest in using pakprep.com. Sindh MCAT test for 2017 has been held already and there is no official new of re-conduct. We appreciate your interest in using Pakprep.com. If you are from FATA you cannot apply for Sindh MCAT that is only for Sindh. But you can apply in private sector or FMDC and NUMS. to start your preparation today please visit Pakprep.com. How to get prospectus and application form? Can I get it from any of the TCS branch in whole of Pakistan? We appreciate your interest in using Pakprep.com. It depends on NTS you can get exact information about this matter from them, they will guide you about places from where you can get it. For your test preparation you can visit Pakprep.com, we have more than 15000 solved MCQ’s along with explanation. We appreciate your interest in using pakprep.com. Unfortunately MDCAT Sindh is only for Sindh domicile holders. 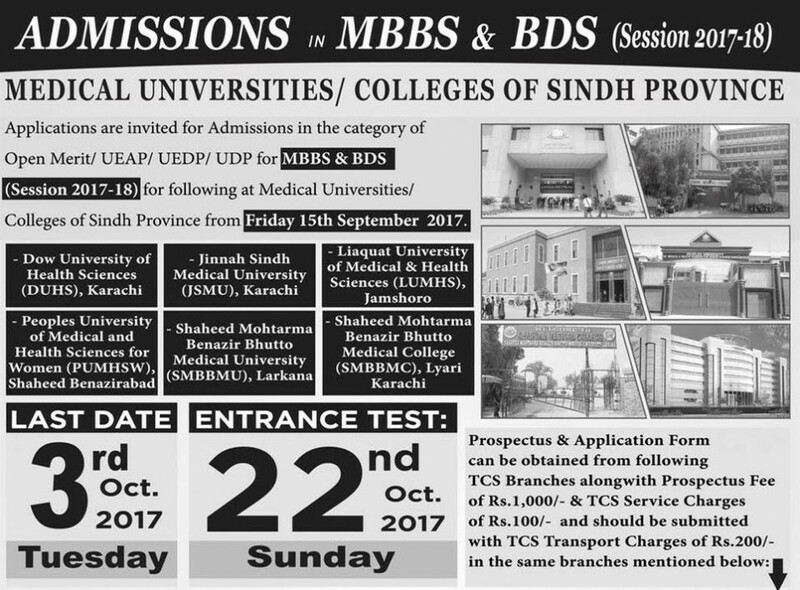 Is there any opportunity for students having Punjab domicile to get admission in Sindh medical colleges through any other way?? We appreciate your interest in using pakprep.com. Only Sindh domicile holders can apply for MDCAT Sindh, but after this private collages will conduct their own tests you can apply for that. And for your preparation please visit Pakprep.com.